A rendering of the proposed new Kennett Library. POCOPSON – A presentation by Kennett Library board representatives, Brad Piper and Chris Larsen (via teleconference), was given to the Pocopson supervisors on Monday night. The focus was on considerations for future allocations of library donations and the plans for the new construction. Piper provided information and data from the Chester County Library Systems (CCLS) in support to develop guidelines for donations by the township. Usage and membership data for 2016 from the 18 branch libraries across Chester County was used to determine the allocation for Kennett and West Chester branches. The data indicated that 359 residents held Kennett branch cards (12,625 in-house transactions) and 111 held West Chester branch cards (1,934 in-house transactions). Suggestions by the Pocopson residents of the Kennett Library Board of Trustees included a 100%:0% or a 75%:25% split of the 2018 donation between Kennett and West Chester libraries, respectively. The next step is for the supervisors to include the data when reviewing the 2018 budget. 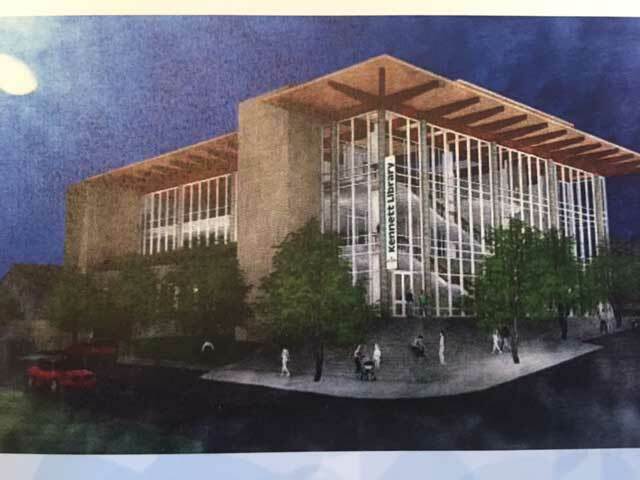 The library representatives also circulated pictures of the new building site located in Kennett Borough on the corner of State Street and Willow Street. The in-town facility will be jointly used by the borough and include a secured and separate entrance for the police division. Construction is estimated to begin in late 2018. The library will occupy the second and third floors and the plan includes 44 underground parking spots available for convenience of patrons and employees. The building of windows will provide natural light and use less energy to heat and cool as the current building and will have rooftop space for vegetation, according to Piper. The well-lit building at night will be a lantern that welcomes you into the borough,” Piper added. 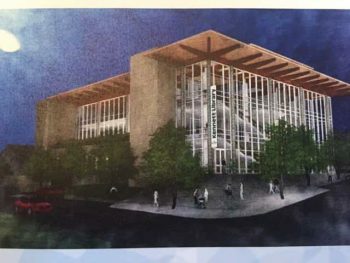 According to Piper, a feasibility study to raise ten million of the projected 14 million dollars for the building will be completed by Summer/Fall 2017. A Home and Garden Tour that will focus in Unionville, will take place on June 3. Tickets are $40.00 and a lunch option will be available for an additional $13.00. Tickets are available at the library or on-line at kennettlibrary.org. “The tour is the keystone of the library’s fundraising strategy,” said Larsen. Supervisors Elaine DiMonte and Alice Balsama – Ricki Stumpo was not present – approved a resolution indicating the township’s support for an Independent Commission, instead of political favoring of a party (gerrymandering), to provide voting district boundaries within a fully transparent process. The supervisors heard a presentation in favor of the commission last month, given by Fair Districts PA. There will be a public announcement of the township’s support to officials. On Monday night, the supervisors heard an update on the activity for Pocopson’s Emergency Management Services (EMS) from Kevin Gosselin. Counties were required by PEMA (Pennsylvania Emergency Management Agency) to maintain an emergency plan. Included in the plan are new radios for the township with direct communications with Chester County Emergency Management and other neighboring townships, heavy equipment inventory, and an EMS mutual aid dispatch system with automatic vehicle location – to ensure the closest unit is dispatched when the primary one is not available. In addition, Chester County notifies and provides alerts to township officials and residents during emergencies via email to all those who are registered at www.readychesco.org. “This is really great. We haven’t had this much structure around emergency services,” said Supervisor DiMonte. Jordan Gushurst of the township’s Parks, Recreation and Trails Committee (PRT) expressed the need for additional signage at Pocopson Park and the trails to prohibit skateboarding on the tennis court and motorized vehicles, such as four-wheelers and dirt bikes on the trails. There was discussion that there is no way to enforce the violations but the additional posting of signs where lacking may help. The next township meeting will be held on June 12, at 7:30 p.m., due to the Memorial Day holiday.